Image Credit: Arcana, or, The museum of natural history :. London : Printed by George Smeeton for James Stratford,1811. From the Biodiversity Heritage Library on Flickr. 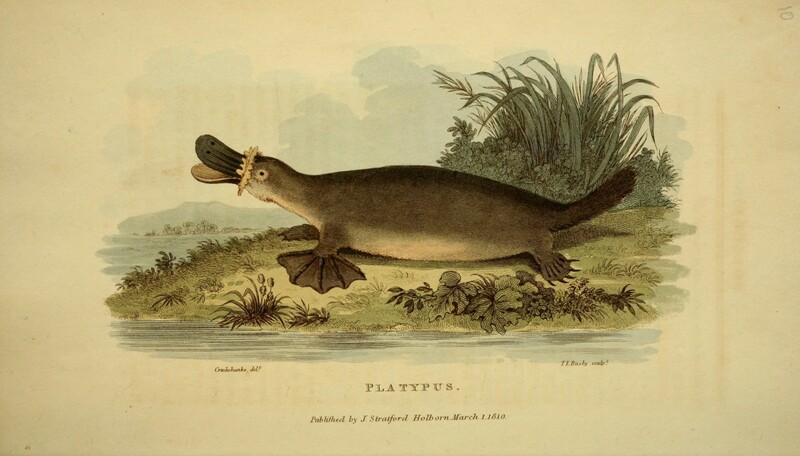 What’s the significance of the platypus to me? As an Asian-American woman with a mishmash of personality traits and interests — extrovert, risk-taker, bookworm, tomboy, cyclist, artist — this strange creature with its odd combination of unique attributes is my spirit animal.